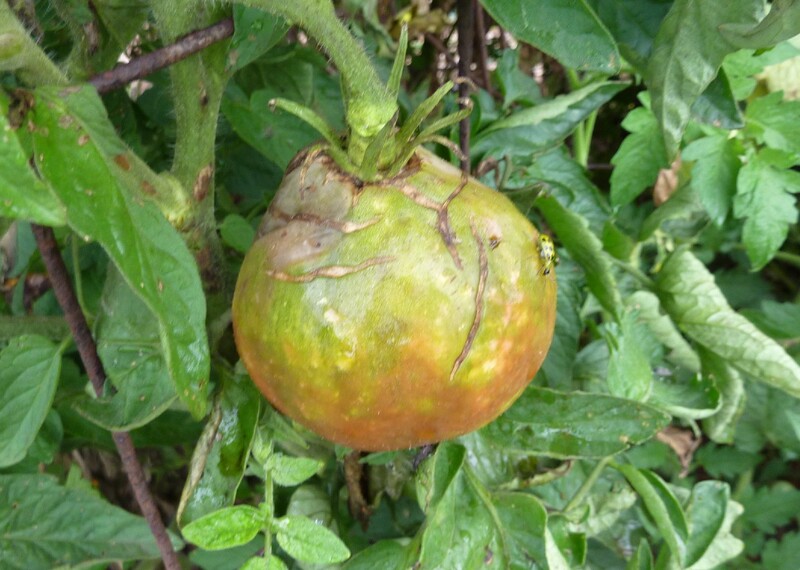 This is the full, ugly picture of stink bug damage: a doomed tomato (in my despair I forgot to note which variety) in the Derwood Demo Garden. (That’s a cucumber beetle hanging out on the side. The stink bugs have moved on, I expect.) And that’s one of the healthier plants there; we’ve had a lot of disease too. I wish we made frequent enough visits to the demo garden to keep up with picking, and weren’t losing as many of the wonderful varieties there to the nasty villainous stink bugs. Boo! They are sucking on our jalapenos and other peppers big-time too, and I have no confidence in the popcorn crop. I can relate to that damaged tomato. 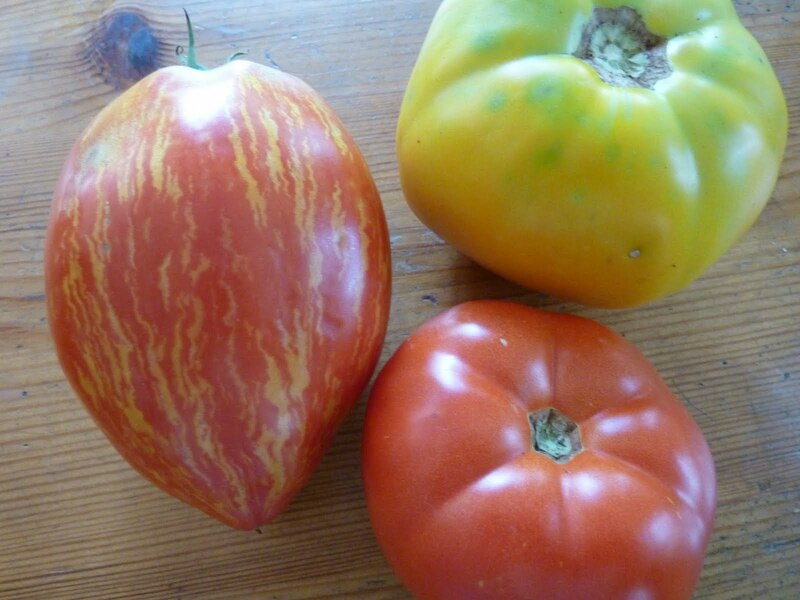 My father has a huge tomato plantation which he started to harvest but there are also some damaged fruits. Maybe because of the weather and lack of medicines. Sorry to hear about your tomato damage. I got lucky, I was able to produce a good crop of tomatoes & peppers this season. Thanks for both your comments, and yes, the extent and reasons for damage seem to have varied quite a lot. I have stink bugs at home but not in nearly the numbers that have found the demo garden.